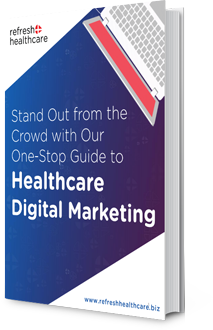 Marketing is one of the most overlooked area when building a strategic plan for a healthcare service provider. The management assumes that visits to hospitals aren’t a matter of one’s choice therefore there is no point in allocating a hefty budget for marketing campaigns. People will continue to visit when there is a need. Such a plan would have made sense when there used to be a single hospital in town. But with over high density of hospitals and thousands of private clinics in India metro cities, the need to be more visible and approachable is important. Being an IT hub in Asia, it is not hard to figure out that the reliance on the internet and search engines like Google has increased in the country. Studies reveal that 77% of potential patients look for health information on search engines. The most prominent being Google! But just because you are online, doesn’t mean the job is all done. As a marketer, your goal should be to rank at the top of your competition. This can be a difficult task but not impossible –especially when it could mean more business for you. A study by Google and Compete Hospital suggests that 43% of hospital visits originate from online searches. This means that when online, you expose yourself to a bigger target market. Here are some more reasons to convince you why landing on the first page of Google is important. Suggests this article titled, “Using the Internet: Skill related problems in users’ online behavior” by Alexander J.A.M. van Deursen *, Jan A.G.M. van Dijk. 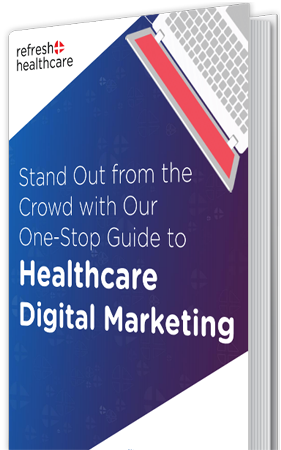 When your healthcare website lands on the first page of Google, it puts you on the frontline of new customers. While establishing a healthcare facility people think about all the important factors such as exposure, demand and foot traffic in the area. Google entertains more than 167 billion searches per month. Landing on first page of Google is equivalent to more exposure and more foot (online) traffic. More exposure means more business! Google’s first page captures 92% of all organic traffic. When your website lands among those searches, you start looking at a sudden increase in organic traffic to your website. Again, more traffic and visibility means more appointment bookings. Trust ranks among the first three things that any potential patient looks for when visiting a hospital or practitioner. Patients want someone who seems interested, listens and is good at what they do. A great way to build such trust is by landing on the first page. Google, being a highly-trusted search engine, people assume that if a website has Google’s approval, it must be authentic and trustworthy. Increased visibility will also augment the level of engagement your patients have with you. Once you have achieved that level of trust by landing on the first page, your institution or practice will remain on the top of their minds when in need of any medical assistance. Not to mention, they won’t shy away sharing their experiences with their families and friends which means reaching out to a larger audience. Still thinking whether to allot a suitable marketing budget or not? If you need help with targeted content that will win over Google, reach out to us today. We are well-equipped to fulfill all your content needs with targeted keywords and SEO which will help you find that top spot on the first page of Google.